Halloween is almost upon us. 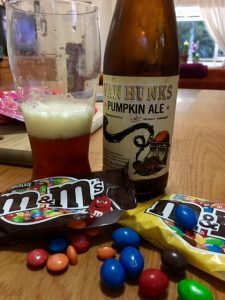 If you are planning a little Trick or Treating this year, this list of Beer and Treat pairing may help you get through your loot. Any excuse right? 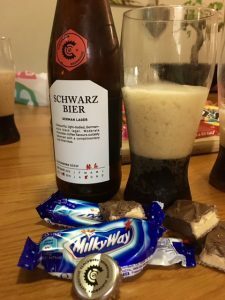 We’ve never really thought about pairing Beers with Treats before but decided this was as good a time as any and gave it a bash, all in the name of research! 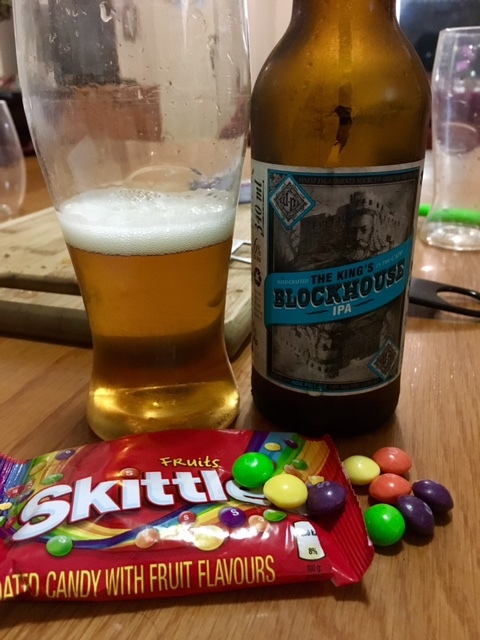 So off we marched to our local bottle store, the mecca that is Hillcrest Tops. 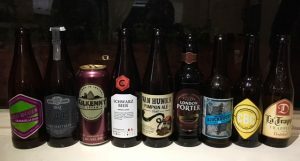 Simply put, Hillcrest Tops is the best place in South Africa to shop for Craft Beers. If you haven’t explored their fridges yet you are missing out. Beers bought it was just a short stroll past a few stores to Hillcrest KwikSpar for our sugar rush. 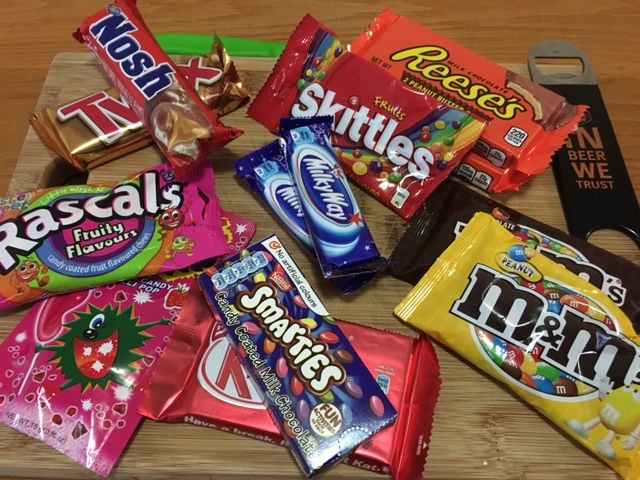 Hillcrest KwikSpar can always be counted on for providing a epic array of both local and imported sweets and chocs to satisfy any sweet tooth. 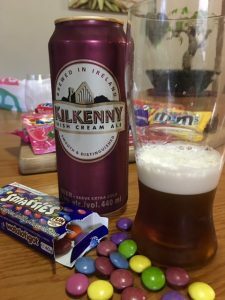 The super sweet Smarties mask the sweetness of the Ale while bringing the bitterness upfront to say howsit! A lovely pairing indeed. 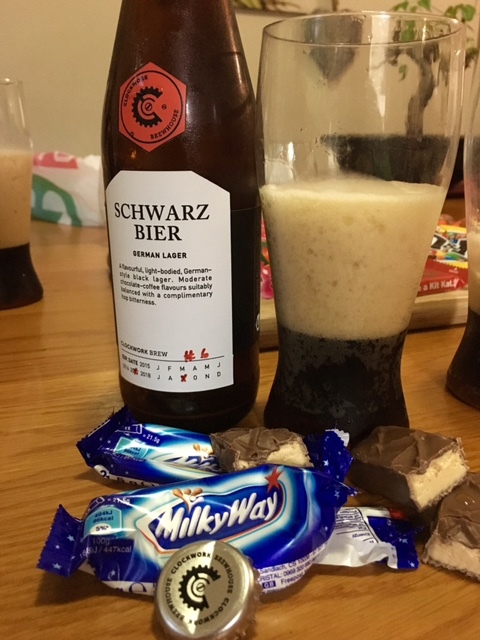 You don’t need to raid the dark chocolate shelf to fully enjoy this pairing; the milk chocolate Milky Way Bar is a perfect companion. This pairing enhances the slightly bitter notes of the dark roasted malts in this dark Lager. This pairing sadly was a bit of a miss. We aren’t entirely sure which choccie or sweet would pair well with this Ale as Pumpkins Ales are so unique in their flavour profile. 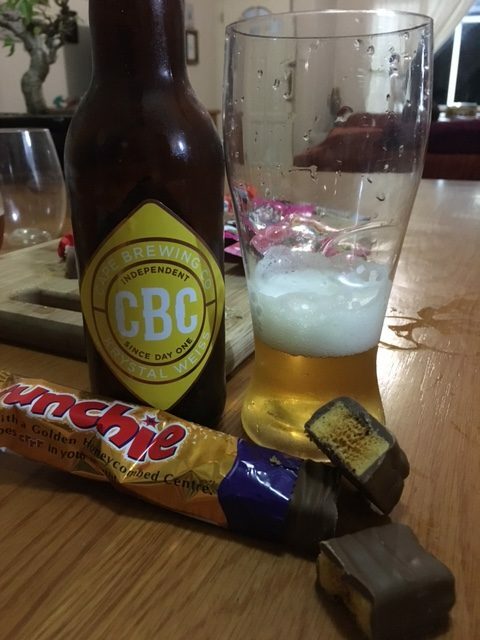 Keep your Halloween Loot aside for another Beer while you sit back and enjoy this one on its own. 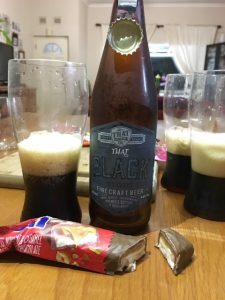 The chocolate notes in this creamy Porter and the caramel topped biscuit make this pairing equivalent to a boozy chocolate fudge sundae, especially if you go for the boss move of freezing your Twix bars first. 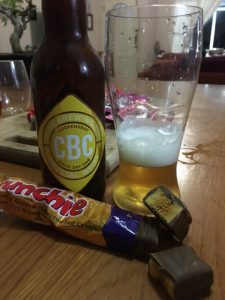 The sweet honeycomb balances the fruity esters that are prevalent in Weiss Beers. Sweet Mother of all things Holy. 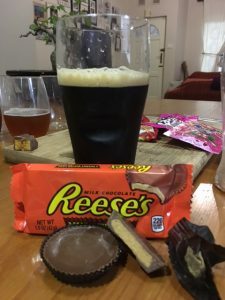 The Reece’s Peanut Butter Cups enhance the roasted coffee notes like no one’s business. Makes you moist AF. The fluffy, chocolatey, nutty nougat accentuates the hop bitterness of this solid Stout. With its hints of dried fruit and caramel notes, this beer certainly stands up to a feisty bag of fruity Rascals. In one word – Wow. This one made us stop and really appreciate the Beer. A surprising pairing! Who would have thunk it? That was fun! 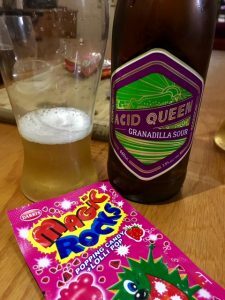 The exploding Pop Rocks neutralised the sourness leaving a somewhat dry and crisp finish. 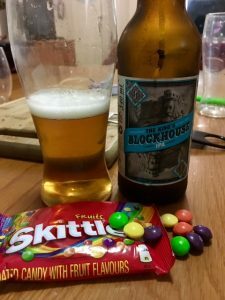 If you really want to get the true IBU bitterness of your favourite IPA, smash a few Skittles in your face and on you go. 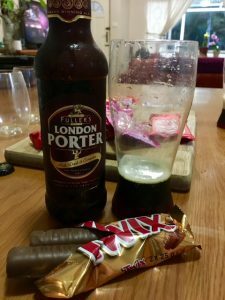 Ridiculously bitter. Hell yes! 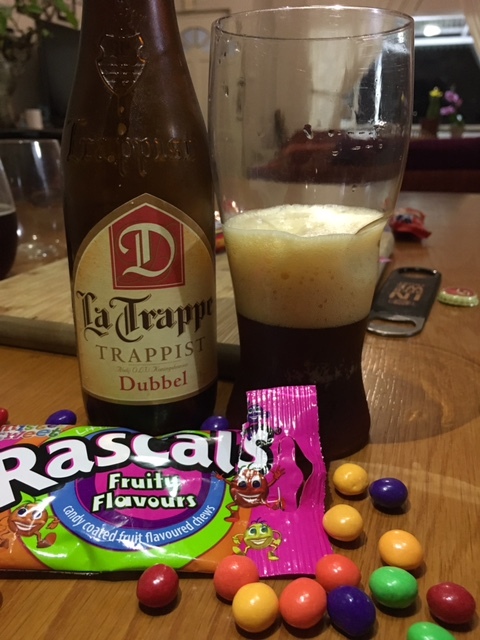 While we all had our favourites, the general consensus was that the LaTrappe “Trappist Dubbel” and Rascal’s pairing was a downright winner and a pack of Rascal’s should be sold with every bottle going forward. There were some slight misses tonight in the pairings but others were out right home runs and floored us with the perfection of their pairings. It was an awesome little experiment and we will definitely do this again.